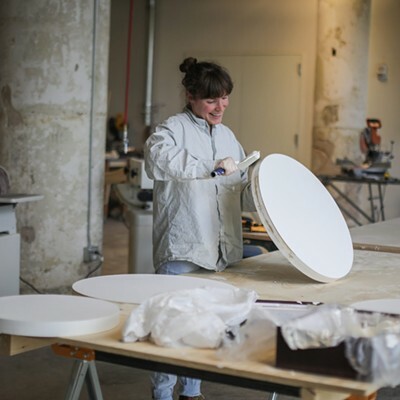 A new membership-based shared art work space is now open in Crosstown Concourse. 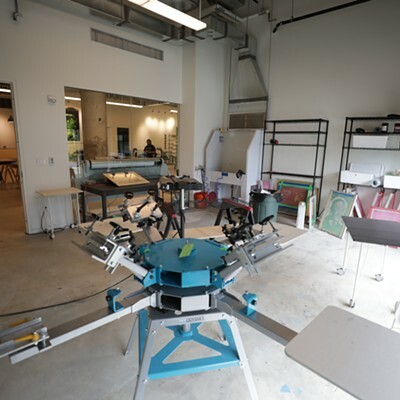 The Crosstown Arts’ Shared Art Making Facility, located on the ground floor of the building, is like a gym for artists, officials with Crosstown Arts said Wednesday. 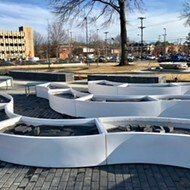 The idea is to offer art-making equipment and software to the public that they may not have the financial resources to purchase or space to house. 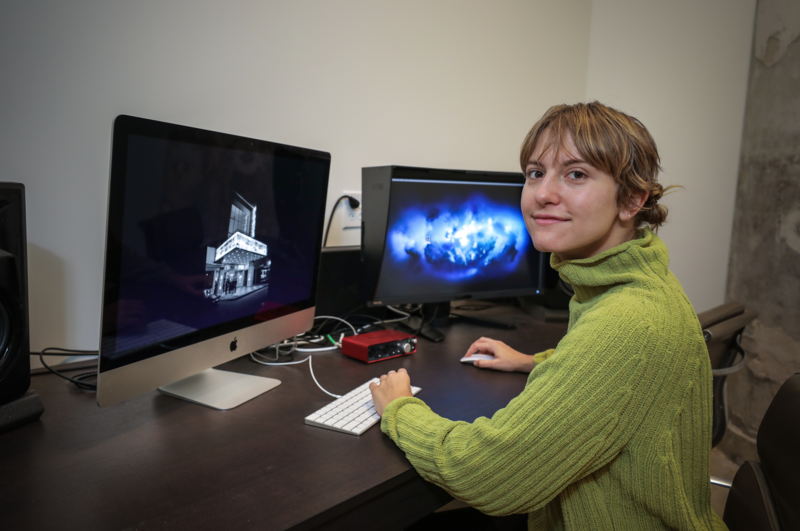 Kasey Price, a tech at the facility, said the space is for anyone with a passion for art. 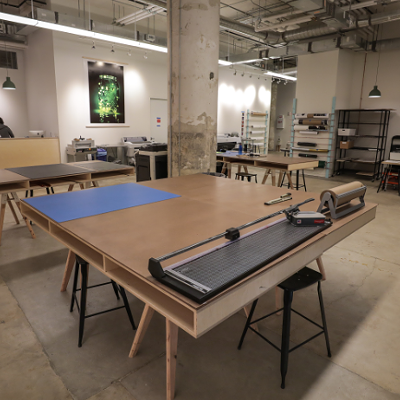 The shared work space has equipment for digital arts, music production, woodworking, printmaking, photography, and other art forms. 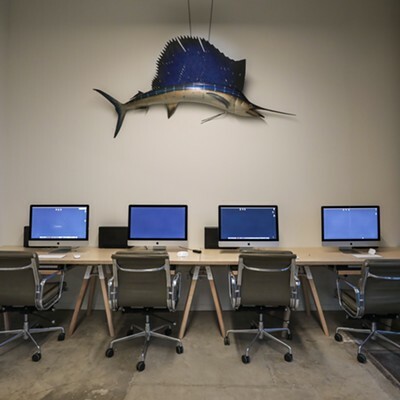 The digital lab houses seven iMac stations, all with the full Adobe software suite, large-format printers, a laser cutter, vinyl cutter, and industrial sewing machine. 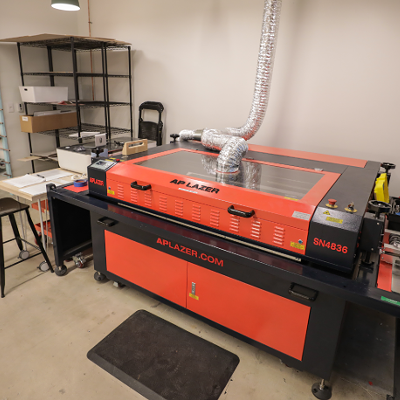 The wood shop includes a CNC router for precision cutting, power tools, work tables, and common hand tools. 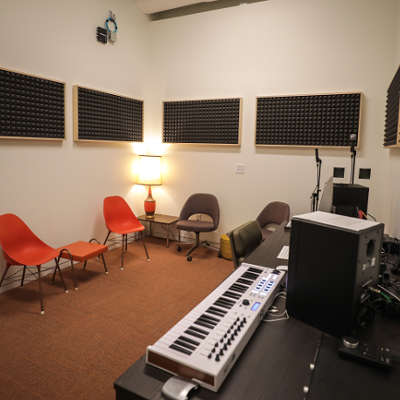 There’s also a sound lab with private work spaces and equipment for music recording, as well as editing bays and equipment for video work. 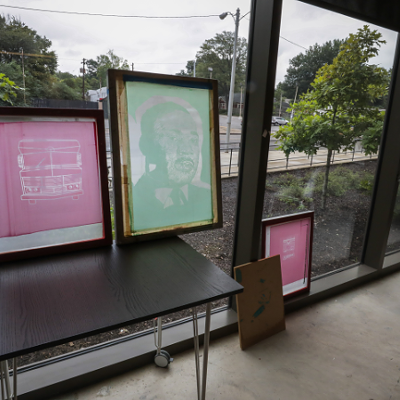 A silkscreen studio provides tools to create and screen-print images for projects like, T-shirts and graphic posters. 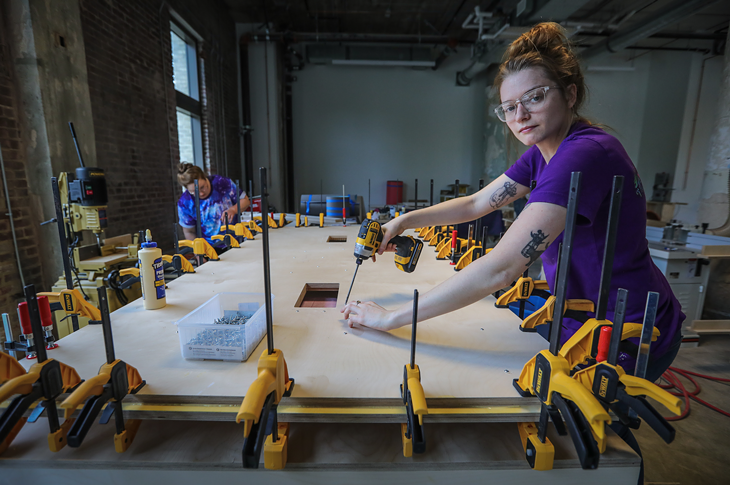 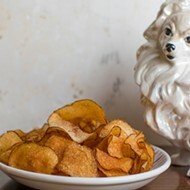 “We’ve seen artists use the equipment in a lot of fun ways — a rabbit house, laser-etching images into a banana peel, a vinyl chicken woman, and drawer partitions,” Jamie Harmon, Shared Art Making manager, said. 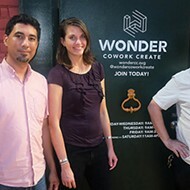 Memberships are $80 per month, if paid on a month-to-month basis, and $75 per month with an annual membership. 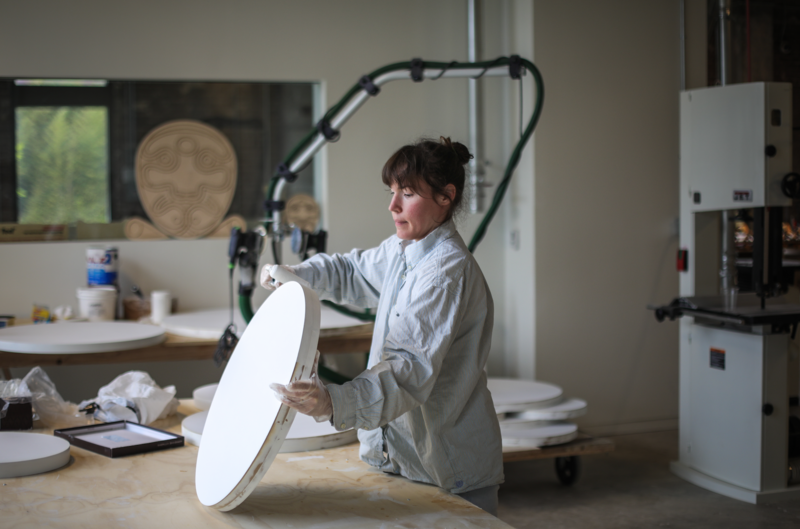 Members can be artists of any skill level, but must be 18 years or older. 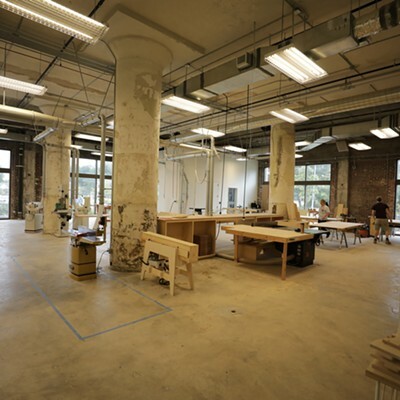 The facility will also allow members to host classes for the public in their area of expertise. 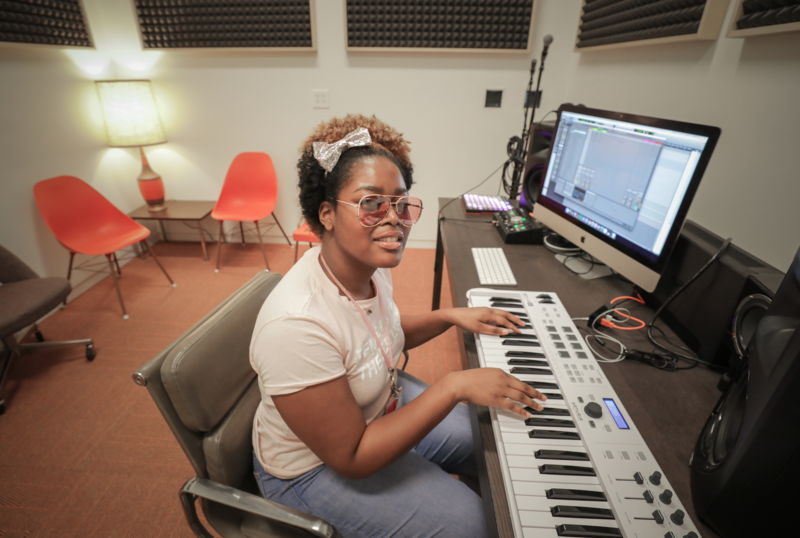 The studio is open Tuesday through Thursday, 10 a.m.-10 p.m; Friday, 10 a.m.-8 p.m.; Saturday, 10 a.m.-6 p.m.; and Sunday, noon-6 p.m.